Pro Football Hall of Famer Willie Roaf joined “XL Primetime” on 1010XL to discuss the candidacy of Tony Boselli for the class of 2019. 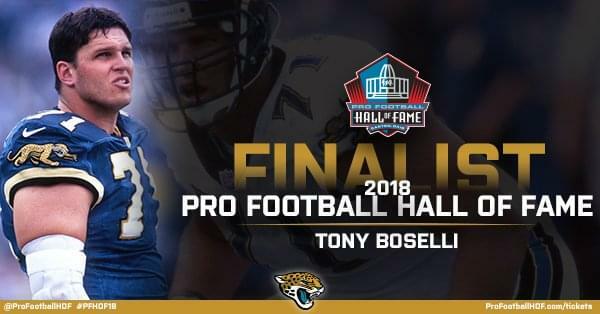 Boselli is among 15 finalists for the hall of fame and the five inductees will be chosen the Friday before the Super Bowl. Roaf, an 11-time Pro Bowler and a member of both the 1990’s and 2000’s All-Decade Team at offensive tackle, was asked whether Boselli should join him in Canton. “Tony was good because he could pass block and run block,” Roaf told 1010XL. “Some of those years I think Tony was the best in the league at that time. “I know Tony’s career was shortened, but for some of those years, I looked at Tony as the best tackle in the league. He was bringing it every week and look what that franchise was able to do those first few years. Roaf says he wishes former hall of fame players could have a say in who’s elected. “I think they need to get former players more involved with the process,” Roaf said. “Put a hall of fame panel together and let some hall of famers go in there and talk to those guys. We know who the best football players were and who the best were at that period. Tony was the best tackle in the league for a period of those years. “What they were doing and going to the playoffs every year, especially what he did with an expansion football team and what they were able to accomplish. That alone tells you how good they were up front.